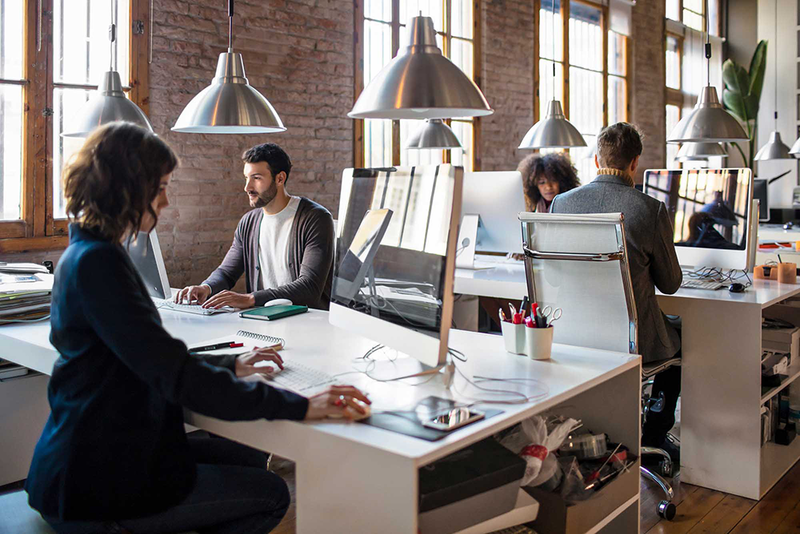 A question on the minds of employers, brokers, and employees alike is "how much will exchange health insurance plans cost in 2014?" 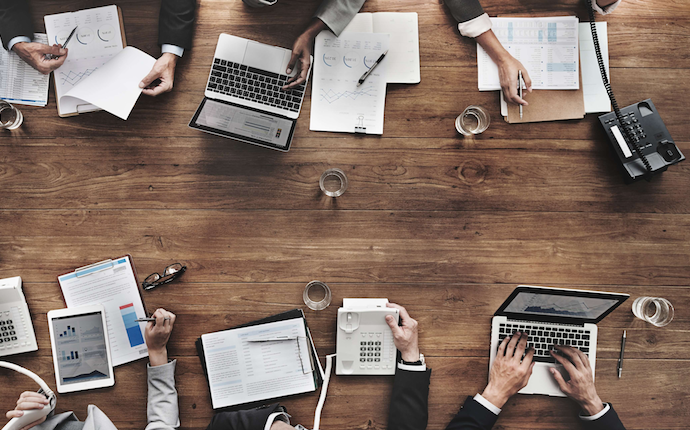 While some consumers have faced hiccups getting signed up with the federally run exchange website (www.healthcare.gov), the good news is there's an easy tool for employees, employers, and brokers to quickly get an estimate on exchange health insurance plans. 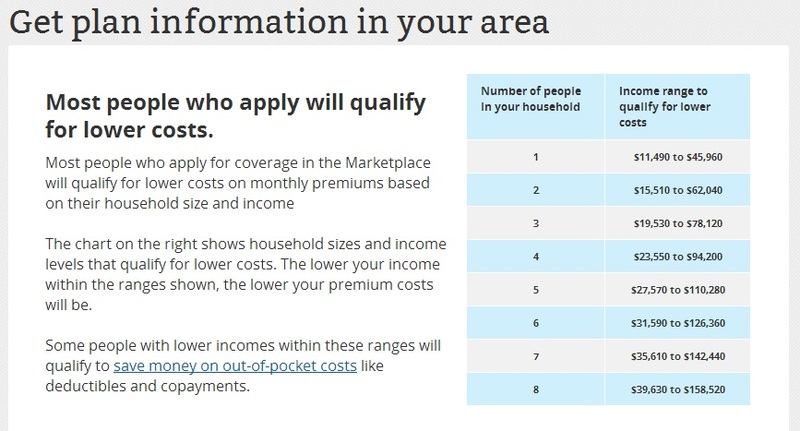 Here's how anyone can get an estimate on how much their health insurance exchange plan will cost in 2014. 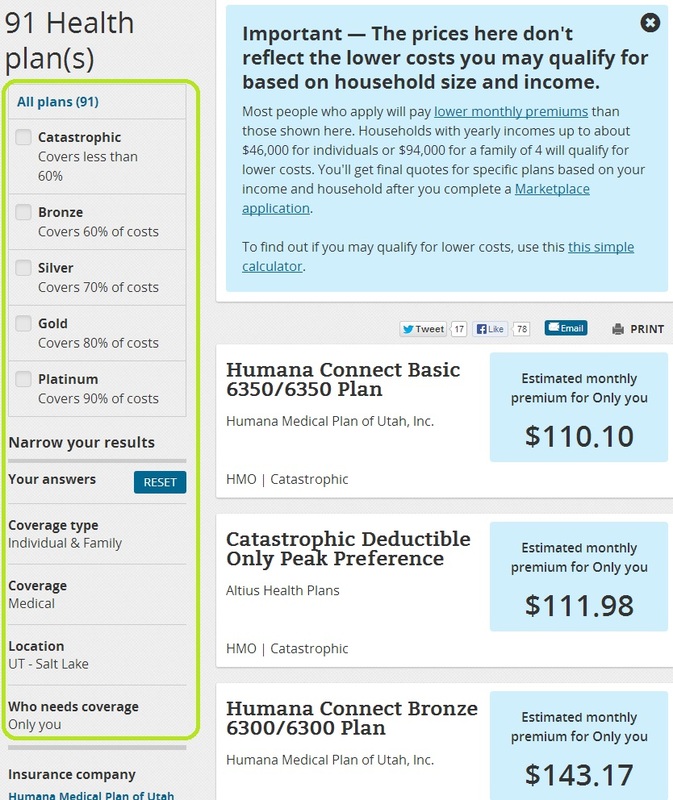 Go to healthcare.gov/find-premium-estimates. 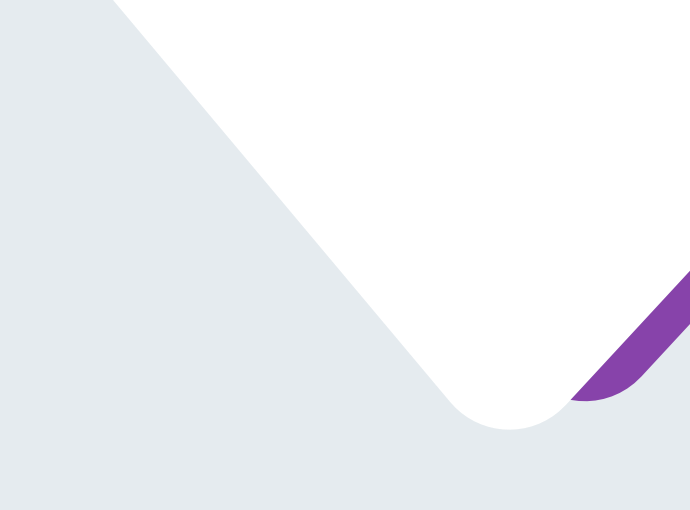 This will take you to an estimator tool that asks you a few basic questions and then displays all available plans with cost estimates (not including any premium tax subsidies). 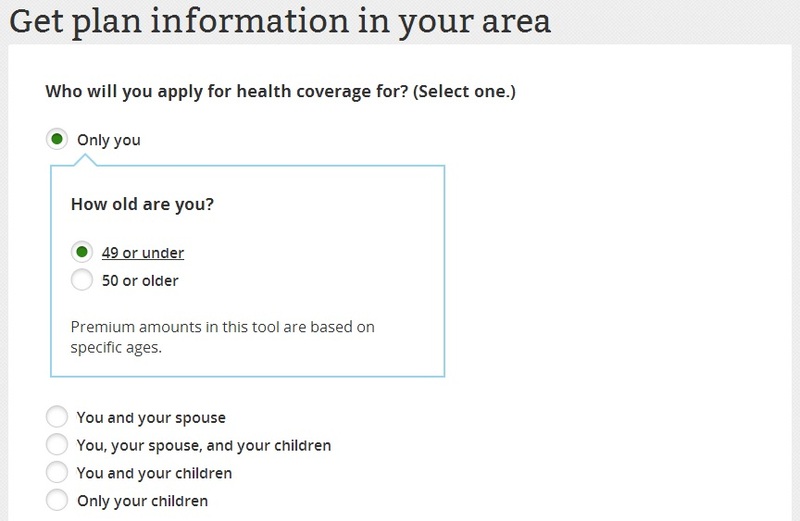 You'll be asked what type of coverage you're looking for, your location, and your family status and age. As you can see from the screenshots below, it's easy for anyone (employee, employer, or broker) to pull up estimates on exchange plan premium costs. Here are the five steps. 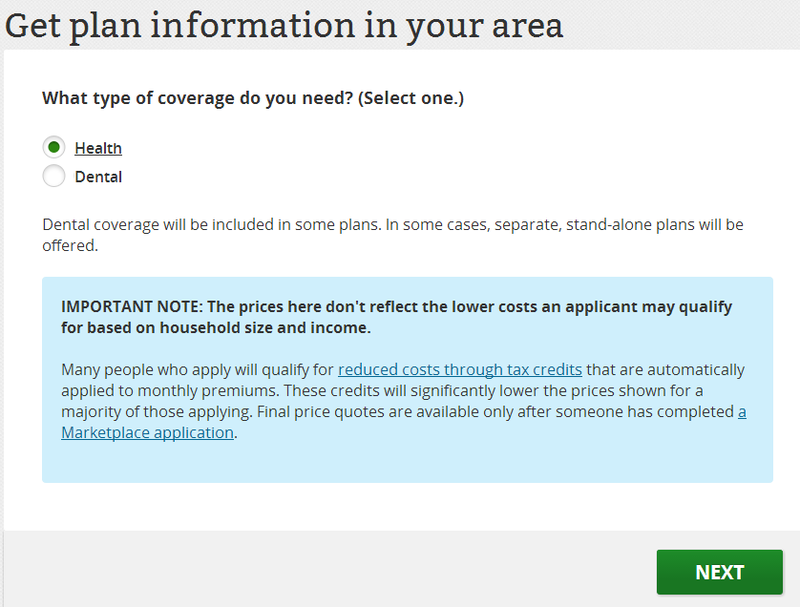 In this example, I selected individual/family coverage and that I was looking for a health plan. Then, I put in my state (Utah) and county (Salt Lake). I selected coverage for myself, and my age group. I selected "49 or under" but if I'm actually 25 (wishful thinking) then my actual cost will be less than if I'm 48 years old. The next step is to show you the plans. But first, you'll get a reminder that the plan costs won't include any premium discounts (health insurance tax subsidies). And, you'll get info about different categories of plan coverage. That's it! Here are the 91 plans available to me in Salt Lake County, Utah. 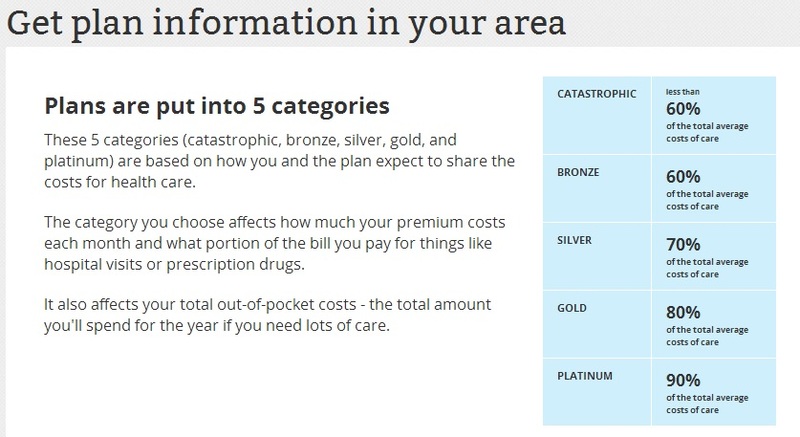 From here, I can filter the plan choices by type of coverage level (catastrophic, bronze, silver, gold, or platinum). Or, I can change any of the answers I previously entered. FAQ - What If My State Isn't Using Healthcare.gov? 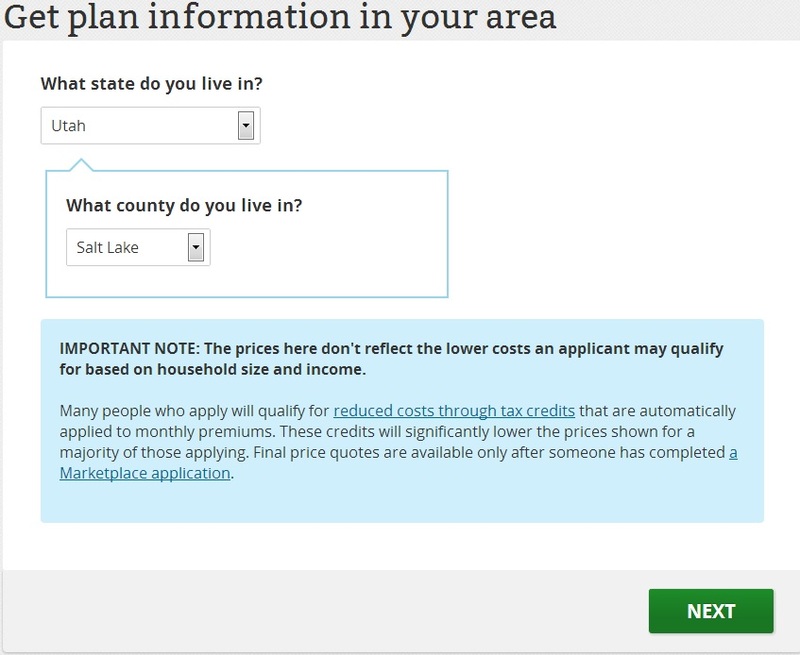 If you're in a state operating it's own health insurance exchange website (such as Washington, California, or Colorado), the estimator tool will link you to your state's site when you select your location. 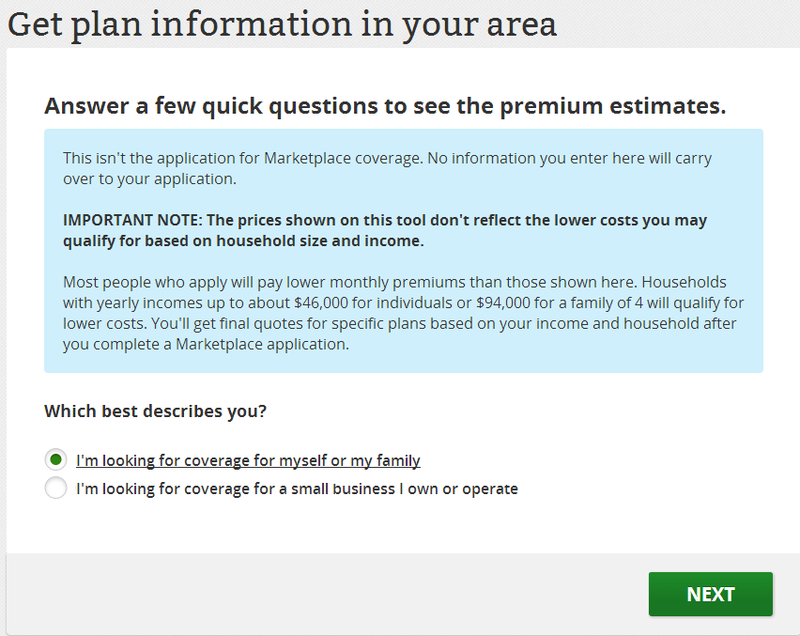 Have you tried the new tool to estimate your health insurance costs for an exchange plan in 2014? Was this helpful for your business, employees, or clients? Leave a comment below.